Brandon Webb threw a bullpen session today, furthering his preparation for Cactus League play and, if all goes well, the start of the regular season. Webb threw 45 pitches, a mix of fastballs and changeups, and threw out of the stretch. It looks like Webb will throw again on Sunday. 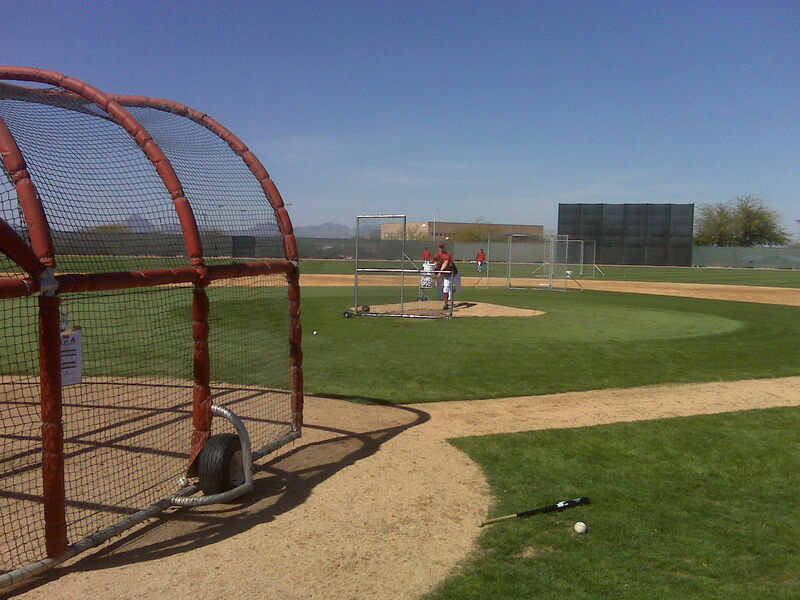 Watched a few D-backs throw live batting practice on two fields this morning. The most interesting BP matchup was probably on Field 1, when Blaine Boyer faced friend and former Atlanta teammate Adam LaRoche. Over on the adjacent field, the D-backs’ Rule 5 draftee Zack Kroenke, a left-hander acquried from the New York Yankees, threw. Hinch said he saw some good things with the live BP sessions. “(Kevin) Mulvey’s ball is coming out of his hand pretty well. His arm action isn’t quite as long as it was last year, which anytime you hear that out of a pitcher is a recipe for inconsistency. It looks like his arm is in good shape. 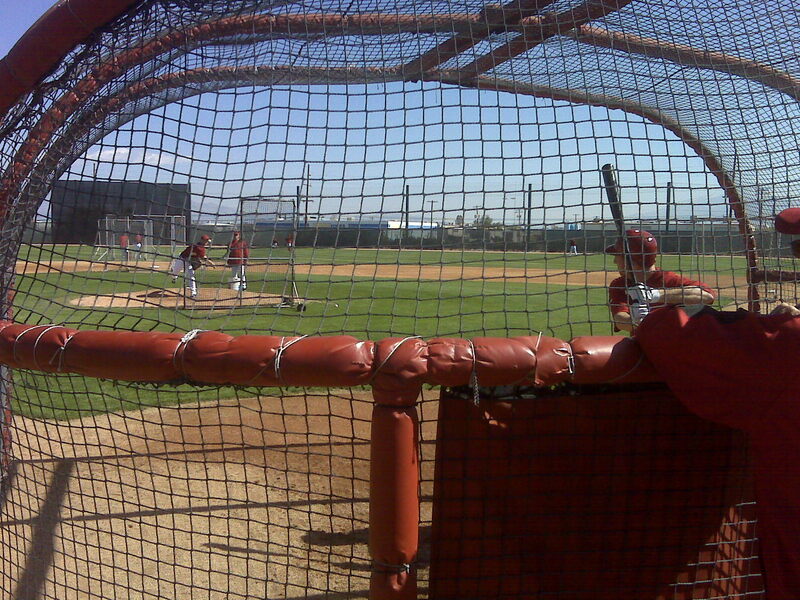 “(Billy) Buckner and (Jordan) Norberto probably threw the two best live BP sessions. (Edwin) Jackson looks like he doesn’t break a sweat when he throws. The ball comes out pretty easy.